False. In early years, body creates more bone tissue than it breaks down, this promotes growth and bone strength. Between 25 and 30, bone mass reaches its maximum causing bone to break down slightly faster than new bone can form. At this point, consuming the suggested daily amount of calcium each day can replace most of what is lost. 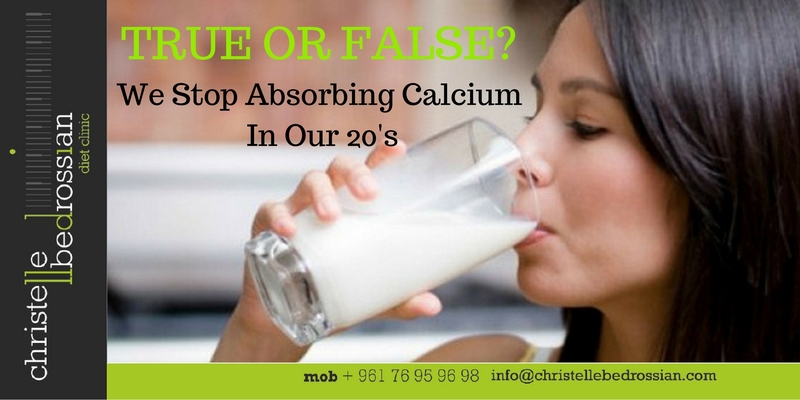 This means it is still important to consume calcium regardless of age. (Next Entry) Is It True That Yogurt Can Ease Digestive Problems?